February 2011 – Hurley Books – How do you do? The joy of reading – never ditch your picture books. I was on St Austell Bay Radio on Tuesday and had great fun, much less scary than I thought it was going to be but then I hadn’t anticipated DJs on pogo boots, school kids and chocolate rolls. I was in to talk about books for children which is trickier than you’d think. Too many children are put off reading at an early age because reading is made to be competitive due to the progressive reading schemes. The minute you make something competitive you have losers and there will be some children left behind. Children who get left behind end up disliking the activity. First of all reading is a functional skill which takes us a while to get, for some of us it takes longer than others and the way we teach reading in this country means that for some children they will feel like failures as they fall behind their friends on the book schemes. If a child hasn’t completely learnt to loathe books by the time they are functionally literate then the next hurdle is finding something they enjoy. There’s a whole world of books out there and yet we seem to limit what kids can read to a narrow range of fictional titles. We have an obsession with age specific reading (more pressure) and ditch picture books at the first opportunity because we think children are too old for them. I love Anthony Browne and Asterix and my childhood days are way behind me! If a child asks you to remove their picture books, box them up and “rediscover” them again a year later. They will leap on them with such enthusiasm. Picture books are fabulous, you can tell your own stories, there’s different stuff for your brain to do, analysing images rather than processing text. Children should never be made to feel that picture books are for babies. And it’s not just picture books that get dismissed. Why isn’t the Guinness Book of Records an acceptable reading book? Men tend to prefer non-fiction so maybe boys would prefer to read non fiction as well? What about comics and graphic novels, they’re telling stories, why aren’t they considered acceptable? All that we are left with is fiction but even then, that gets whittled down. We don’t all like Fantasy so why on earth do we assume that all 11 year olds will love Harry Potter? Just because you liked Jane Austen as a girl why assume that your daughter will? And just because someone has decreed that Dickens is a classic it doesn’t mean that they are right. Reading is about freedom, not coercion. Having gone through all that, it’s a wonder that anyone enjoys reading. There should be no pressure to read the popular title, or the approved title, or the hard book, or three books a week or to finish a book once you’ve started it. Just let kids pick up and put down books all day long, let them have a huge range of titles, don’t test them on them and don’t encourage them to read a certain amount. Just let them be and don’t worry; if they’re relaxed about reading and have access to books then one day something will click. There’s something geeky about loving science which I’ve never understood, probably because I love science but I can’t understand why it doesn’t fascinate everybody. You don’t have to like all aspects of science but it’s such an enormous field that there is bound to be something that appeals to everyone. It’s such a fun area where you can question and challenge and experiment for ever. I like to think about the human body. I mean why are we built the way we are? We really are very badly designed. Our nice, strong hard bones are on the inside surrounded by soft vulnerable bits. Ask any crab or lobster or tank designer and they’ll agree that the hard protective case goes on the outside. Then there are our fun bits, situated within millimetres of our waste disposal area. Not the most harmonious of neighbours, just imagine… no, actually, don’t do that, not pleasant. Then there’s our command centre, our brain, the bit that makes us unique and keeps us going. Is it protected, safe and unassailable? No. It swings around like any other appendage; the problem is that whilst we can carry on if a leg of an arm gets chopped off, without our head the show is over. Even worse, the unprotected narrow column that attaches it to our body also houses our main artery and windpipe. Any major damage to the neck that supplies our next two most essential items, the lungs and heart and once again it’s goodnight Vienna. Having the brain behind a skull and lungs and heart behind ribs is not much cop when the neck is left so exposed. Another design oversight. Isn’t that great? I wonder if we would take better care of our planet if we could see it better? In some parts of the country there’s a club called Café Scientifique where they hold monthly talks in wine bars and coffee house on bits of science. Maybe the Eden Project or Heligan would like to set one up? Would I be the only one there? We’ve been having some really beautiful weather recently. I appreciate that having typed this, it will now start to rain and by the time you read this you will no doubt be up to your armpits in water and beginning to develop webbed feet. If this is the case then I apologise whole heartedly. But for now, the good weather has meant that my walks with my constant companion, Harry, have been enjoyable experiences. Actually “constant” isn’t a terribly good descriptive word for a companion who is by my side for about 10 seconds during the whole walk, but he does nip back now and then to check up on my laborious progress or to show me a rabbit that he has managed to catch, or even better a rabbit that someone else caught a week ago. Dogs do love a good strong smell and in his generosity, Harry assumes that I do too. For this reason my preferred walks with Harry don’t end near a rabbit warren. Too many times I have made the mistake of not getting him back on the lead in time and then just waiting uselessly whilst my dog undergoes paroxysms of ecstasy as he dashes uselessly from one thicket to the next. I also like to end the walk near a source of running water, this means that he can have a drink and I can give him a quick scrub down because the thing that Harry loves almost as much as a good scent is a good mud pool. In fact if he can find a stagnant bog then he is in heaven. It always amazes me how even in the most severe of droughts my oh so white dog can find the last patch of dark, stinking mud available. It is fun watching him play though, he’ll go from walking to trotting, then a wee bit of a jog and suddenly he’ll see a movement and he accelerates from a canter to a gallop to finally flying as he launches himself through the scrub and up and over obstacles with his back legs flicking out behind him. Despite these Nirmod like qualities he just about always fails and pads back to me, tongue lolling, having enjoyed the chase as much as any end goal. Walks on the beach are just as much fun, all those wonderful seagulls which hang teasingly above his head. The other day he was so intent on launching himself at a flock of seagulls that he completely misjudged the depth of water beneath his pads and suddenly plunged into a deeper section and had to doggy paddle his way back to a shallower point. As I watched the seagulls laugh at him I thought about the best way to describe the shock on his face for this column and to comment on how rather vacant in the brain department my dog is, when my foot plunged into a hidden dip in the icy cold sea and water poured down the top of my boot. I don’t know if I actually heard Harry snigger but his tongue was definitely lolling in an even more laughing fashion than normal. As I sloshed back to the car I decided not to comment on the intelligence of anyone who fails to spot dips on the seabed. 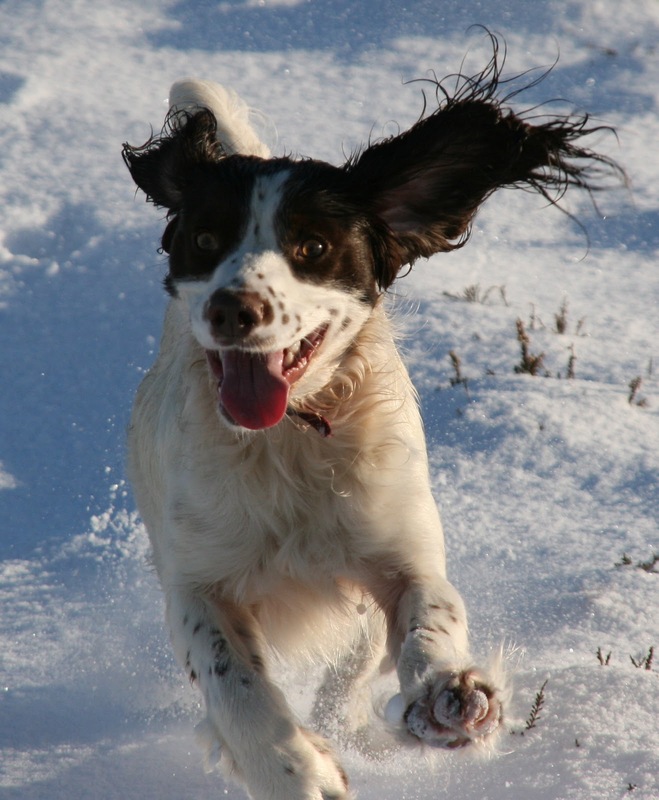 Our friends have just lost their 4 year old Springer who was out on a shoot and impaled herself. She didn’t survive but we all know that she was probably more annoyed at being impeded than in any pain. Springers are wonderful, mad, happy dogs and it’s heart breaking to hear of one dying so young. Is there anything more insidious than a league table? The glory of being at the top, the shame of being at the bottom. Those at the top will happily declare it’s a fair system and clear for all to see; those at the bottom will try to explain why their circumstances skew the figures. League tables never seemed to matter unless of course you were of a sporting persuasion but over the last decade league tables have sprung up everywhere. Who has the best council, best hospital and best school? At least in a football match the league table made sense; scored goals, go to the top, failed to stop goals, go to the bottom. But league tables for schools? How can you judge how one school is better than another? At first it was simply done on who got the most children passing the most amount of exams. Already widely flawed and open to interpretation. Then they added a “Value Added” column this indicated how much progress a child had made from their previous school. Unbelievably nebulous. Now they’ve decided that the initial measure of how many exams they were passing failed to show the right sort of passes, so they’ve brought in something called the English Baccalaureate. The EB is achieved if a pupil passes 6 subjects with an A* – C grade, these 6 subjects must be English, Maths, 2 sciences, a language and Geography or History. Previous exam grades had been 5 passes A*-C in Maths and English and any three others. These three others could include ICT, Child Care, Health and Social Care. So what has been the effect of this new column? Well it seems that schools that had a pass rate of 50% now have a pass rate of 18% suggesting that the majority of schools and pupils are taking more of the modern subjects. Some critics are up in arms about this apparent slump in attainment, some seem to be suggesting rather quietly than these modern subjects are easier than the standard history or chemistry but I don’t agree. All exams and syllabuses are set to the same standard, to suggest otherwise denigrates the efforts of pupils and teachers to get students to pass. Maybe more children take and pass child care than chemistry because it seems more relevant and easier to get a handle on? If I had been offered photography or physics at school it would have been no contest. But what is the long term cost to our society? Shouldn’t we be educating our future generations in as broad a spectrum as possible before they start to settle into their career subjects? A population that hasn’t studied history is doomed to repeat past mistakes, knowledge of geography helps people to understand the world around them; the same is true of science, by knowing how things work helps people to look at issues and problems with greater clarity. A foreign language helps to broaden the horizon and consider other cultures as well as our own. I have no issue with the modern subjects but I believe the traditional ones give us a population that is more roundly educated about their heritage, the community they live in and the world around them. After 16 they can then continue down an academic path or a practical one but on either path they will be more roundly educated. 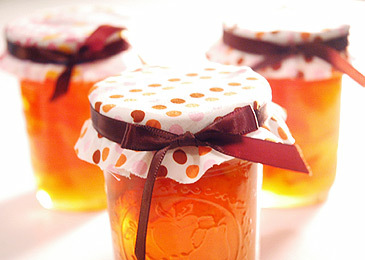 Have you ever made your own marmalade? Tasty, fun and barring explosions very easy. I’ll come back to the explosions in a bit. January is the time to make proper marmalade as it’s the Seville orange season. These warty, ugly sour oranges are only available for a short period so you need to grab them when you see them. Richards by Par docks always has a good supply in and they often have little recipe sheets to go with whatever they have in at the time. Marmalade is one of those wonderful seasonal foods, of course you can make marmalade all year round with lemons and grapefruits and sweet oranges and so on but for a proper strong, rich marmalade you need the sevilles. The most tedious part is slicing the rind, and because I need a sharp knife to do it, it’s not one of those “fun” tasks I can con the children into doing. Eventually fingers stinging from the acidic juice, the deed is done and then it’s just softening in water and melted sugar and then boiling the whole lot until a set is reached. If you don’t pay careful attention and stir regularly you may cause a skin, which may burst in a rather volcanic manner leaving you and the kitchen covered in boiling hot sticky sugar and orange peel. Providing you avoid doing this you will have loads of gorgeous jars of delicious orange marmalade shining back at you. If you line them up on the window they look like captured suns and always make me think of summer, despite the fact that I am making them in the dead of winter, with the wind and the rain lashing around the doors and windows. Even better is to spread some over a thick slice of white bread heavily coated in butter, a coffee by my side, a book in my hand and a fire in the hearth. Winter seems an obvious time to think about food, all those lovely heartening stews and soups, big roast, bowls of porridge and whilst I often think of fish as a summer food I’ve been thinking about it a lot following the Hugh Fernley-Wittingstall programme on fish waste. I’ve never seen such criminal waste. One fisherman said “it might not be legally wrong but it is morally wrong” and he was right. I live here by the sea, a huge part of our economy comes from the sea but I was unaware of the senseless waste that our fishermen are being forced to throw away. I know all about tuna issues and farmed salmon but the concept of the quota missed me by completely. I was incensed to see those huge dead fish being thrown back overboard. There was a wonderful Ealing Comedies moment when the fishing fleet threw their “discards” overboard within paddling reach of the shore. Like Whisky Galore the locals made the most of their unusual harvest filleting the lovely free fish and making a feast of it. The scientists say that the stock levels aren’t high enough and I have to respect their opinions as much as the fishermen’s, as I don’t yet know enough about the subject. But from what I can see, throwing back dead fish is wrong. Maybe like marmalade we need to start thinking more about the season that the food is naturally available in and the quantities that it’s available and change our lifestyle accordingly?